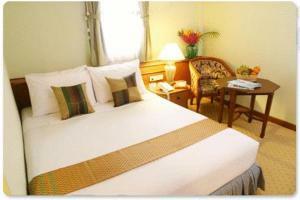 Wall Street Inn is situated in the heart of Bangkok, a minute’s walk from Saladaeng BTS and Silom MRT station. 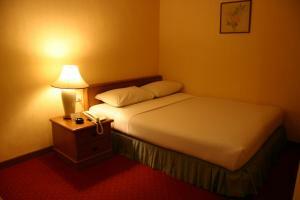 The hotel features a restaurant, free Wi-fi and parking. 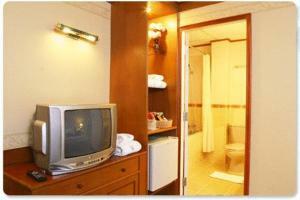 Rooms at the Wall Street Inn, Bangkok are fitted with a satellite TV, mini bar and refrigerator. En-suite bathrooms have hot shower facilities. Hairdryer and slippers are also provided. Guests can indulge in massages and foot reflexology at Bodie Care Traditional Thai Massage. The hotel provides airport shuttle services. Travel and sightseeing arrangements can be made at the tour desk. The on-site restaurant and bar serves daily breakfast and provides meals for all-day dining. 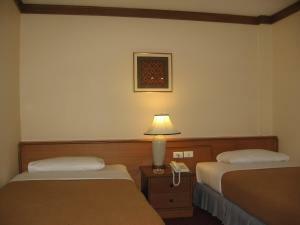 Wall Street Inn, Bangkok is approximately 22.5 km from Don Muang Airport and 23.5 km from Suvarnabhumi Airport. Rate: THB 1350.00 ... THB 1400.00; select dates below to get current rates.